Your solar panels need to be exposed to sunlight in order to produce power. However, unless you live somewhere with high amounts of smog, dust, dirt or sand blowing around, solar panel cleaning is generally not necessary. 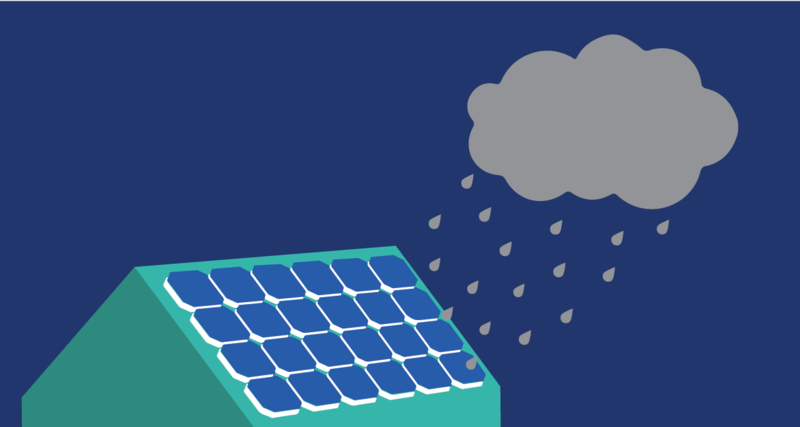 In most cases, occasional rain will be enough to naturally and safely keep your solar panels clean and free of debris that could lower production. It may be a good idea to freshen up your panels occasionally if you live in an area with heavy particulates in the air. Here are answers to some of the top questions solar panel system owners have about cleaning solar panels and how to do it safely. How to clean solar panels: what products should you use, if any? When cleaning your solar panels, the most important consideration to keep in mind is that scratching or damaging the glass in any way will reduce a panel’s energy production. It’s best to approach panel cleaning the same way you might clean your car. Dish soap and warm water applied with a soft sponge or cloth is the safest and easiest cleaning method. It may also be helpful to use a squeegee to remove dirty water. Remember – avoid damaging or scratching the glass at all costs! On rare occasions, oily stains can appear on your panels. You might find these if you live near a common truck route or an airport, and they can be tackled with a little isopropyl alcohol and a rag. It is essential to avoid using strong cleaning fluids, however, as these can streak and damage the glass. Is it worth paying for a solar panel cleaning service? Just like going to a car wash, there are professional options for cleaning solar panels – your solar installer may even do it for you, for a fee. If you have a rooftop system, it may be a good idea to enlist a cleaning service, if only for safety reasons. Cleaning services won’t do a significantly different or better job than you can do yourself, but they are equipped to safely clean and maintain rooftop units. For ground mount units it may not be worth the service fee when you can safely and effectively clean your own panels with a hose, some dish soap, and a soft rag. Does your solar lease cover panel maintenance? 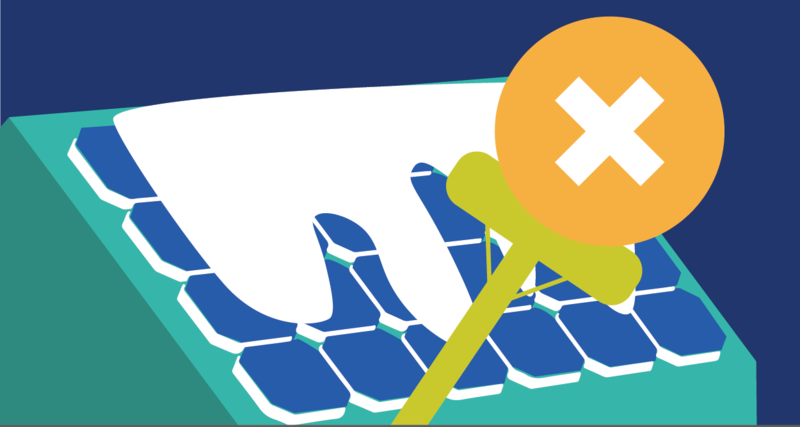 In general, solar lease agreements do include a maintenance clause of some sort. Some companies will perform regular maintenance on their panels, and others will repair damages the customer reports. It is important to remember that solar panels generally require little maintenance, and simply spraying your panels down with a hose occasionally can do the trick. Should you remove snow from your solar panels? Snow on solar panels generally doesn’t need to be removed – it will typically slide off on its own. Most panel installations are tilted at an angle, and snow will naturally slide off as it melts. If snow persists on your panels, you can also invest in tools like a solar panel snow rake, which makes it easy to safely remove snow covering on solar panels. It is important not to use a standard broom, shovel, or other non-specialized tool to remove snow from panels, as they can scratch the panel glass and lower your power production.